Silent Development: How to Create and Mount ISOs in Windows in under 80K! How to Create and Mount ISOs in Windows in under 80K! 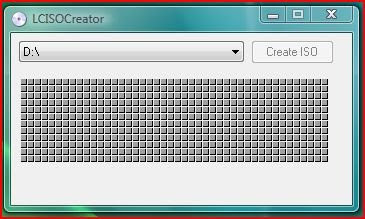 LC ISO Creator is one of those indispensable small utilities for creating "iso images" from your CDs and DVDs on your hard disk. It may not be capable of copying copy protected CDs/DVDs however at 14KB zipped it's perfect for those personal CDs or music CDs you want to backup and has also got that Amiga "XCopy" feel, so it has my vote! So great, you now have a tiny utility to create ISO files, but you need something to "mount" the backups you make (that is, temporarily add to "My Computer" as a "virtual" disc drive you can access). Microsoft Windows XP Virtual Control Panel is the utility to do that, at 60KB compressed it is also one of the smallest utilities of its kind, and allows you to switch the CD in the virtual CD drive by choosing the iso image file via its user interface. Well that's the under 80K part (14K+60K), but unfortunately the Microsoft tool is XP only. Fortunately there are lots of other free utilities to mount ISO images such as much more heavy weight (7MB+) DaemonTools and Alcohol52, or the (relatively light) 400K open source WinCDEmu. Watch out for the last one, it's light and simple... but has no uninstaller (yet). On an unrelated note, not having time to develop on Vampire Castle recently means I've been short of good blog entries, but I've grateful for the praise in (older) blog comments for my software to date. To keep the blog ball rolling (and give readers reason for subscribing to the RSS feed) there'll be more posts like this one in the short term.